In July, 2018, the Construction Publishing House has published the textbook "Architectural Acoustics - History, methods of calculation of design and application". Edited by Dr. Arch. Nguyen Anh Tuan, MSc. Phan Anh Nguyen, Lecturers in the Faculty of Architecture. Architectural acoustics is the science and technology that aims to create the desired sound environment within buildings. The course Architectural Acoustics provides a basic understanding of the sound, the movement of sound waves in the building, the basic knowledge for optimal acoustical performance in the auditorium and the comfort of noise for occupants in the buildings. The textbook is the result of a serious elaborate process over a period of more than five years, undergoing a process of evaluation by the University. 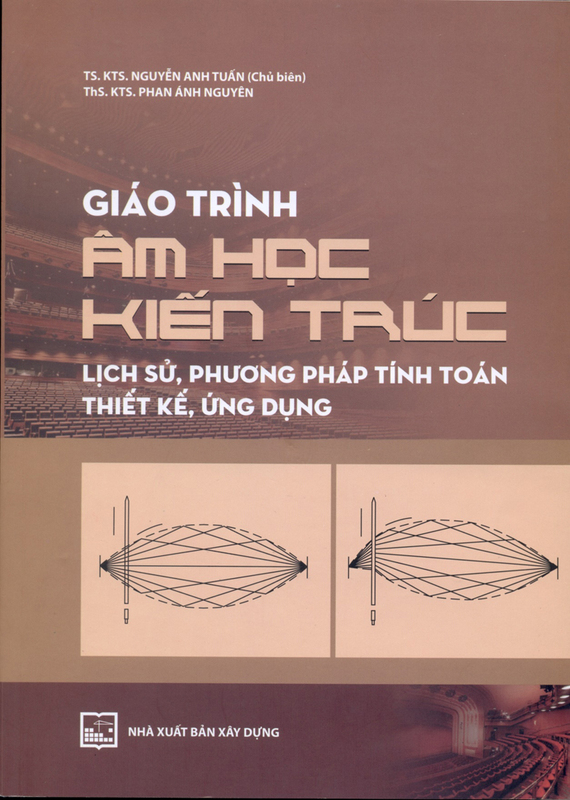 During the compilation process, the author discarded the old knowledge in previous acoustic materials and added many of the latest theories, especially digital applications in acoustical design. This book is designed by the author to support architects, sound engineers, graduate students, students in engineering, architecture, environment who are studying at all levels in Universities and Colleges. The textbook is one of the efforts of the Faculty of Architecture in standardizing and improving the quality of training of architects, meeting parts of standards of quality assurance. The book is published and distributed in bookstores throughout the country.